1. 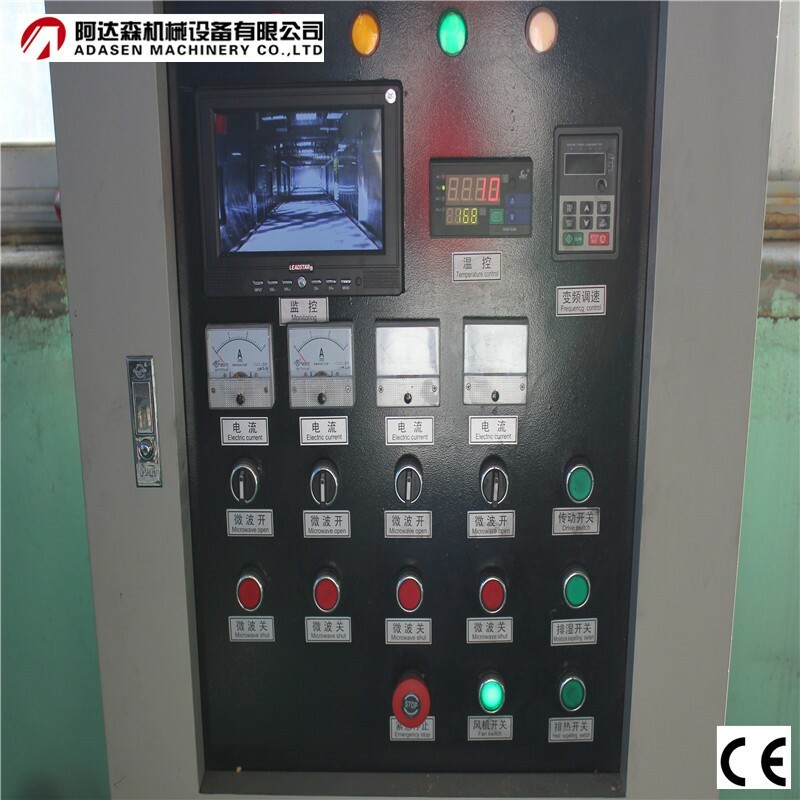 This equipment adopts the contemporary most advanced multi-cavity multi-source framework, and it is equipped with made-to-order industrial microwave magnetron (Model 2M167B) which is Panasonic brand. This magnetron uses metal ceramic to seal pipe mouth, so it has high thermostability and perfect environmental performance. Also this equipment adopts high voltage capacitor (2500V/AC), original high flow cooling fan axis, high reliable air-cooled industrial microwave transformer which can withstand voltage 4300V, high pressure resisting silicon stack with 10KV and high reliable electronic circuit design in order to ensure the microwave output power (adjustable). The parameter's ratio and technological adjustment of all electrical equipment have been inspected practically by our microwave expert. 2. 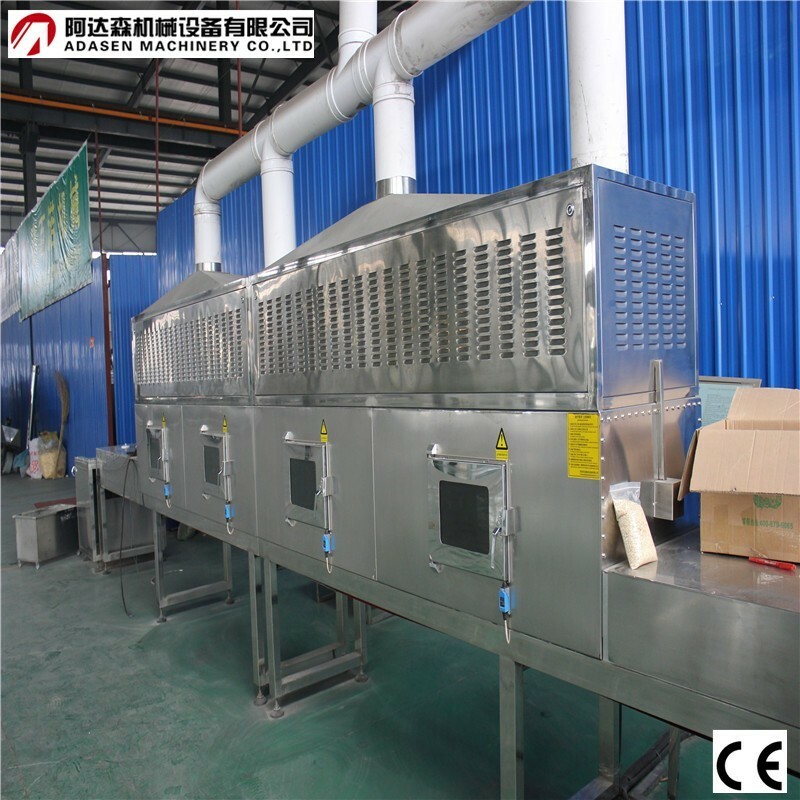 Heater for the box structure, continuous tunnel microwave heating system uses 1.5mm thick 304 #South Korea Pohang Stainless Steel matte board manufacturing, single-sided double frosted panel, microwave rack system uses 2mm thick stainless steel design and manufacturing process no skeleton. Seeks perfection in design and manufacture of the machine and ensure rigidity, fully in line with the requirements of GMP production equipment. 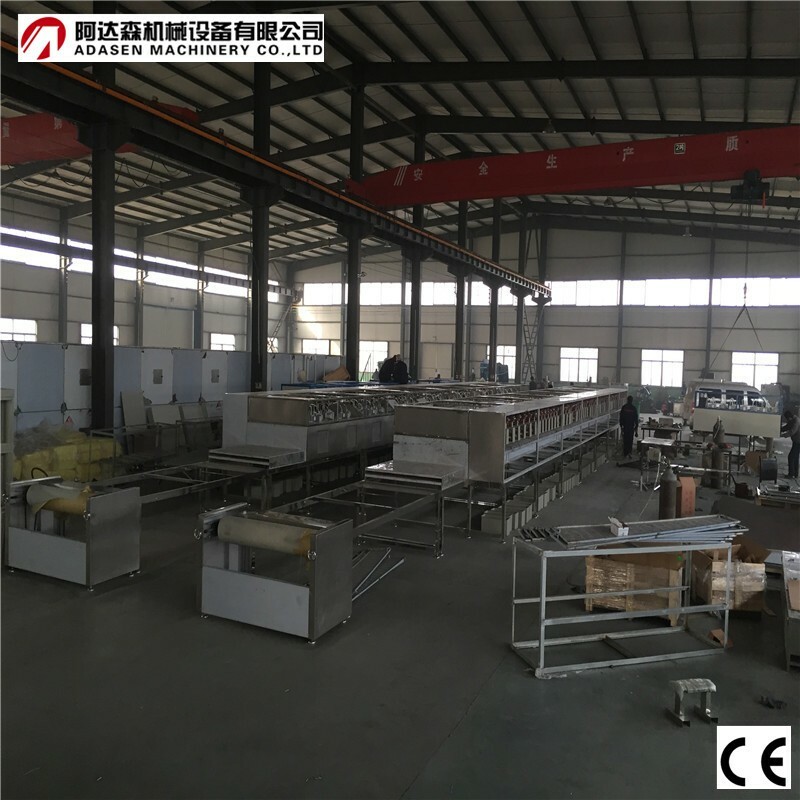 Seeks perfection in design and manufacture of the machine and ensure rigidity, fully in line with the requirements of GMP production equipment. (1) During the equipment manufacturing and processing it's not allow to have more than 1 mm gap between the box body and box body, diaphragm and suppressor of connections. 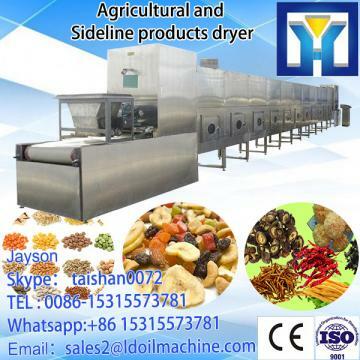 (2) Domestic microwave equipment between the casing and suppressor is the frequency of microwave 'lighter', according to the particularity of sterilization drying and must ensure the safety of production, based on our practice and successful experience, and we adopt special isolator interval isolation, effectively ensure the safety of the equipment for production. 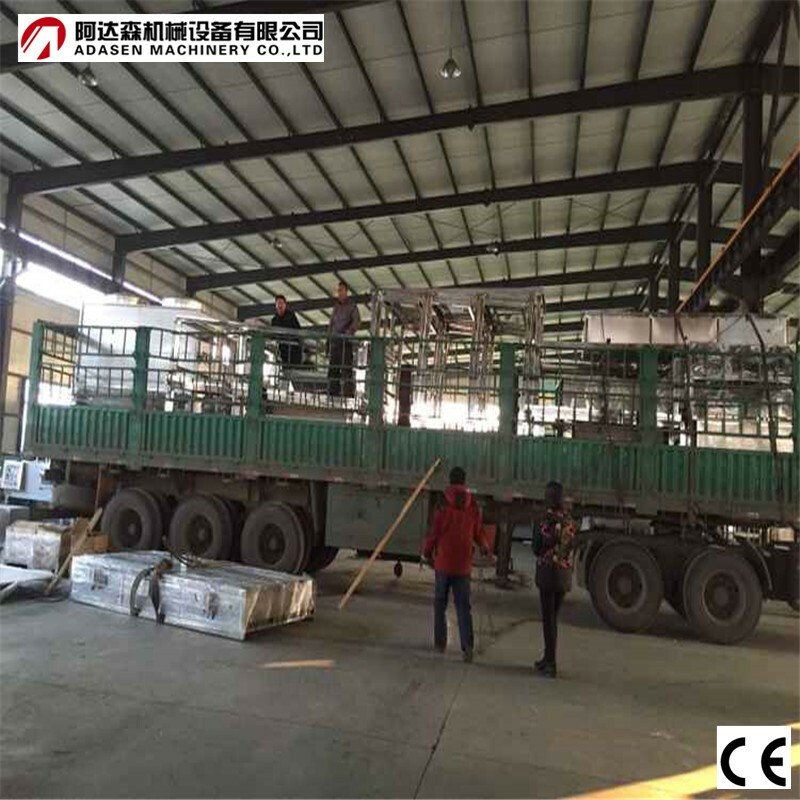 (3) hydrofuge system and thermal dissipation system: the production line of wet system separately, force produced by heating the water vapor discharge quickly. (4) Microwave generator set on top of a heating body, make the equipment overall compact structure, beautiful shape, smooth, cover an area of an area small. On physical properties of the material, design reasonable measure, make uniform microwave power density inside the heater, microwave broadband feed-in, from top to bottom make material is heated more evenly.